emotions as they watched Jesus being brutally crucified. What was going on? They gave up everything to follow this man and believed He was the Son of God – the promised Messiah! Just days earlier, the people of Jerusalem lined the streets while shouting, "Hosanna!" with palm branches and shouts of joy as Jesus made His triumphant entry. But now, there He was, dying a humiliating and horrifying death on the cross. Some of those same people who had earlier hailed Him were now cursing Him and spitting on Him. Some were, along with the disciples, weeping over Him as they still had hope He might be their salvation, their King. The disciples could not understand at that moment that all was well. They could not understand that the plan was going just as God designed from the beginning of time. At that moment, things looked so dark and discouraging to them…. but resurrection was coming. Hope was around the corner. If only they had a glimpse of that coming glory! Friends, if life seems hopeless, overwhelming or confusing, please hold on. There must always be a death for a resurrection to come. Death of a dream, death of a relationship, death of a habit that you feel you can never break or even death of our foolish pride – these are types of deaths we all experience in our lives every day. If only we could have a glimpse of the coming glory! If only we could know that things will get better! Maybe we cannot understand at those moments that all is well, that things are going just as God designed from the beginning of time. Things may look dark, difficult and discouraging…but resurrection is coming. 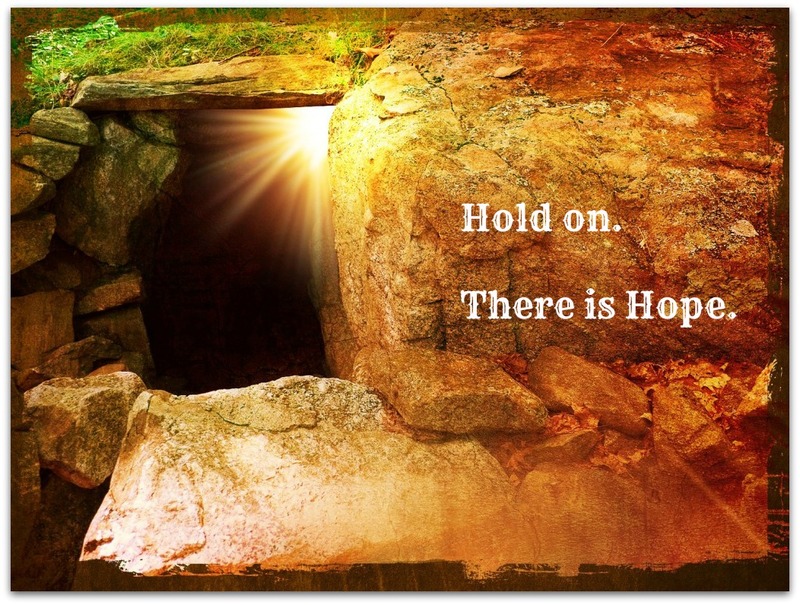 Yes, things looked hopeless the day Jesus took His last breath. And resurrection is coming for you, too.